Book Review: "Massacre at Wekidiba", the Tragic Story of a village in Eritrea, by Habtu (FR. Athanasius) Ghebre-Ab, PhD. “Massacre at Wekidiba” is a new book by Habtu (FR. Athanasius) Ghebre-Ab, a professor of history at the university of Cincinati, Ohio and an ordained priest of the Orthodox church. Prof. Habtu tells the story of the tragedy that befell the village of Wekidiba in late January and February 1975 and again in 1976. The village is a few kilometers northwest of Asmera. In those days, the Eritrean Liberation Front (ELF) and EPLF had put Asmera under siege after ending their own civil war in 1974. The result was fierce fighting in and around the capital city. Hence, the government, attempting to push the Fronts away from the city and the surrounding areas, and angry that many thousands of its soldiers were dying in the war, had unleashed its forces on the surrounding villages including Wekidiba. As Prof. Ghebre-Ab points out, nobody knows why the government chose Wekidiba for their terror, except it was nearby, barely six kilometers from the city, and was strategically located on a hill (unlike Adi Segdo, where some of victims of the massacre fled to, which was much closer to Asmera but was also situated on the flat land). Wekidiba suffered the brunt of that terror and evil. The Ethiopian soldiers proceeded to brutally murder scores of people, loot property not only snatching gold jewelry from the women but anything that they can carry away, and virtually raze the village to the ground. 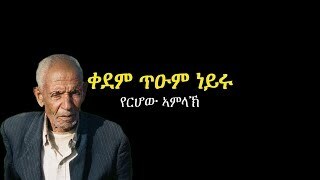 Prof. Ghebre-Ab is a great story-teller and brings his eloquence and powerful skill of the narrative to this horrific incident that was deliberately unleashed by the fascist Derg regime. 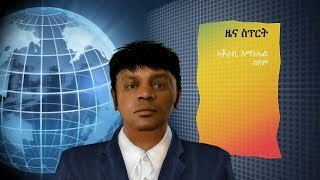 The book begins (Chapter one) with the background of why the author initiated the project for the book: Zewdie Reta's "yeErtra Guday" and the author's denial of the culpability of Ethiopia and his explicit assertion that "...we Ethiopians have committed no offense against our Eritrean brothers" (page 2, "Massacre at Wekidiba"; and see also "yErtra Guday", page 10). Yes, Zewdie Reta had the temerity to tell the world such a bold lie in a book, no less, he wrote about the history of the relationship of the two countries between the years 1941-1963. As all Eritreans know the assertion “Ethiopians…committed no offense” against Eritreans is a complete fabrication (and/or total ignorance of history) on the part of Zewdie Reta. The different sources of massacres in Eritrea are briefly discussed in chapter one. The history of Eritrea and its relationship with Ethiopia is discussed in chapter two. (After the colonizer, Italy, was defeated and the British took over the UN and was later involved in deciding the fate of the Eritrean people along with the other Italian colonies of Libya and Somaliland. While Libya was granted its independence outright and Somalia was to be a sovereign state in ten years, the UN decided to federate Eritrea with Ethiopia). The Federation between Eritrea and Ethiopia was of course dissolved by the Emperor in 1962 and Eritreans had declared war against Ethiopia by September 1961 “initially perhaps only to attract the attention to their plight” as Dr. Habtu put it. The Ethiopian government’s response to it was to escalate the violence by declaring a “State of Emergency”, and specifying the provisions, delegating authority and declaring prohibited areas that was issued by "Lt. Gen. Kebede Gebre, Minister of National Defense, of the Imperial Government of Ethiopia" (see pgs. 31-37). In chapters 3-5, Prof. Habtu writes from different angles the horriffic details of the story of many families of the village caught in the massacre as told by survivors who still live in Wekidiba, Asmera and other parts of Eritrea, Europe and the US. In the appendix, it provides eye-witness accounts of the Ona massacre in 1970 by an American couple , who run an orphanage and a hospital in Keren; and Lt. Col. Zeremariam Tesfay’s account of the massacre of Wekidiba. Col. Zeremariam was a youth (19 years old) in his ancestral village that day in 1975 and obviously managed to flee with his life and had later joined the EPLF. Chapter 6 reveals the second massacre of Wekidiba that occurred in 1976 a little over year after the first one. I am glad the professor has written this important book. Wekidiba is but one of many massacres of innocent civilians that were committed by Ethiopian government troops in Eritrea in the years of the independence struggle, 1961-1991. The others, Ona-Besik Dira, She'b, the city of Asmera itself, etc. have not been told yet. I also think it is timely, not only because there is a dearth of literature on the subject, but also because it is important to remind those who, quite unashamedly, are trying to tell us to forget the atrocities that were committed by two successive Ethiopian governments. (These are not only Ethiopians such as Zewdie Reta, but also Eritreans). 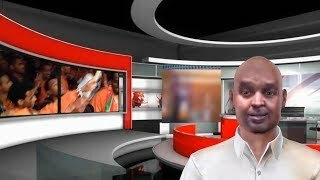 There is a resurgence of revisionist history these days by those who have no qualms pointing a finger at the atrocities that have been committed by Eritreans against other Eritreans during the armed struggle, but try to justify, on that account, their revisionist notions of history of Eritrea and Ethiopia. According to them, we should never have, as a people, risen against Ethiopia to begin with. They tell us bluntly that the Ghedli or struggle for self-determination was unnecessary. 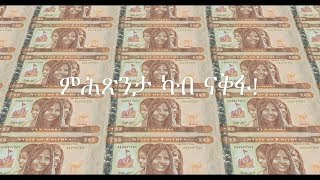 There are even those who brazenly and insolently assert that Eritrea could not have been considered “colonized” by Ethiopia since Eritrea didn’t, according to them, suffer atrocities colonists inflict on the native population, such as “transfer of population to a new territory…outright enslavement, forced assimilation,” etc. Using such dubious definition of colonialism is their way of justifying and excusing Ethiopia’s occupation of Eritrea. We are also told by the same people that we should go back to our “roots”, whatever that means, as if the Eritrean people are spoiled, rebellious children. But, they are wrong. “Massacre at Wekidiba” is a living reminder that Ethiopian occupation forces did indeed commit horrific war crimes that may even be considered crimes against humanity. In face of those atrocities, the Eritrean people had no choice but to fight for their land and for self-determination. (Many Wekidiba youth indeed joined the fighting after the massacre and died for the cause of independence). To say otherwise is but utter ignorance of history, or worse apologist and revisionist history. The Eritrean people have gained their independence from the abusive “parent”, to continue the admittedly bad metaphor, and aren’t going back leaving their hard-gained independence behind, leaving the history of our unimaginable sacrifice behind. So, we should tell those who tend to blame the Eritrean people (the victims) to quit their revisionism, quit blaming the victim and learn history as it really unfolded as told here in the “Massacre of Wekidiba”. “Deliberate policies of mass killings of civilians, to be sure, are not confined to any particular race of people or geography”, as Prof. Qeshi Athanasius writes. But, in our case, it is a shame so few have been prosecuted or brought to justice for the war crimes committed by the Dergue regime. Col. Mengistu Hailemarian, the butcher of Ethiopia and Eritrea, and his henchmen have escaped justice and are living their lives freely as if nothing had happened in Eritrea and Ethiopia in those seventeen years. I am not the crying type, although there is nothing wrong with it, I tend to keep it inside as most people do. But I am not ashamed to say I did reading the plight of a mother carrying her babies, one on her back and the other in her arms and a third one holding her hands walking by her side, her husband having been killed right in front of her eyes and their children, and is trying to reach Asmera’s relative safety from the village of Wekidiba in the middle of this horror and non-stop shooting all around her; and reading about those priests and elderly men who were sarcastically told to pray (“anta zeytmahlelu”) by sadistic soldiers but were shot one by one, as they went around the church, by machine gunners deliberately placed on two different positions, the remaining were forced to continue to walk holding the Tabot aloft while others dropped to the ground dead or wounded by machine-gun fire, and the same murderous rampage happenning continuously until all the priests and elders were killed or wounded. Read it and weep for humanity!